Alicia & Richard brought an antique toboggan and we had a lot of fun with them racing down the hill at Wolfe Park. Hannah & Jon decided to make a fire and roast marshmallows. Sometimes, even in Upstate New York, we don’t get any snow. This winter has been one of the warmest winters we’ve had in a long time and for Ashley & Josh’s January Engagement Session you would think we would have tons of snow. But not this year. The grass was green and there was no snow in sight. 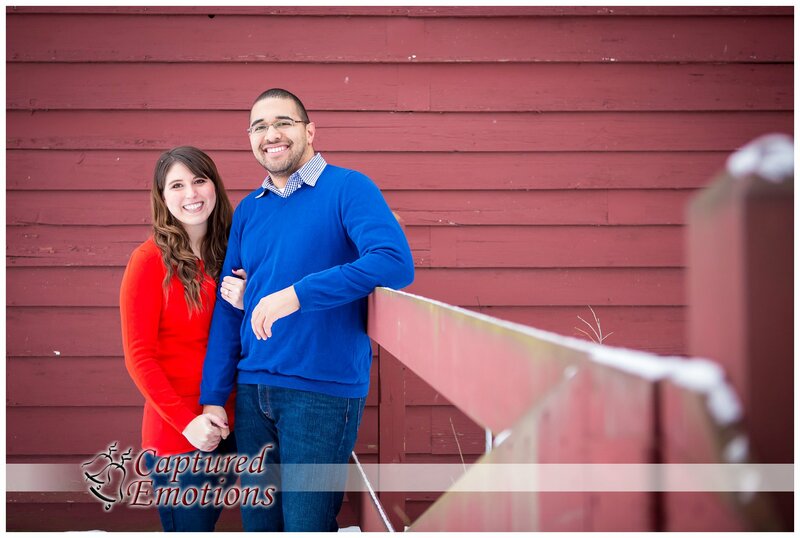 But even without snow, you can still have beautiful Winter Engagement Pictures. The woods are always a beautiful spot to have your Engagement Pictures taken. We got some amazing pictures of Ashley & Josh just walking around in the woods, and Josh knew the perfect spot with the most amazing tree. So whether you want to go sledding, roast some marshmallows or just take a walk through the woods, remember that you can personalize your Engagement Session any way that you would like! Let it snow, let it snow, let it snow! Not only are we pretty sure that contrary to the song, the weather outside is NOT frightful, we think it is perfect for some fabulous, unique, engagement pictures. And as you can see, the fire is indeed delightful. 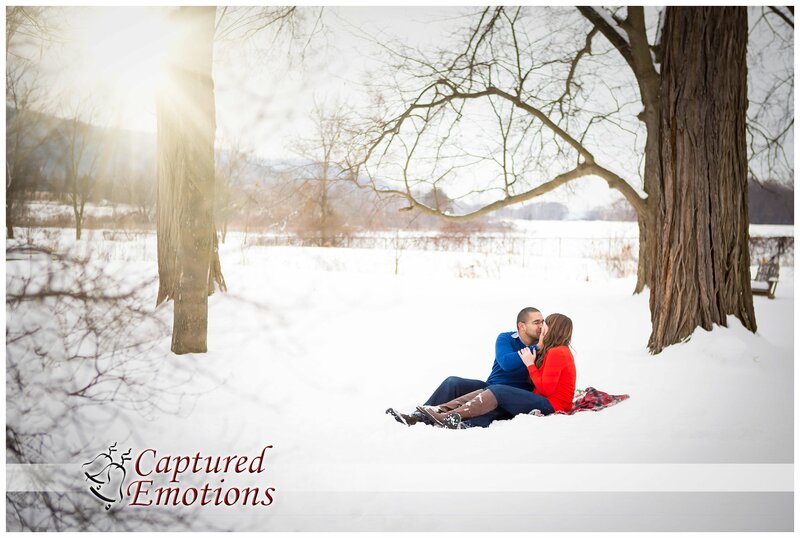 We had the pleasure of photographing Johanna and Jonathan this past week, and mother nature cooperated with a beautiful winter backdrop for their engagement session. You just can’t create indoor photographs that match this kind of setting. One of the benefits of using Captured Emotions as your wedding photographer is the free engagement session in your favorite location. We can’t wait until these two become one next November. or even better, choose us as your wedding photographer, and you could be visiting your own website instead. 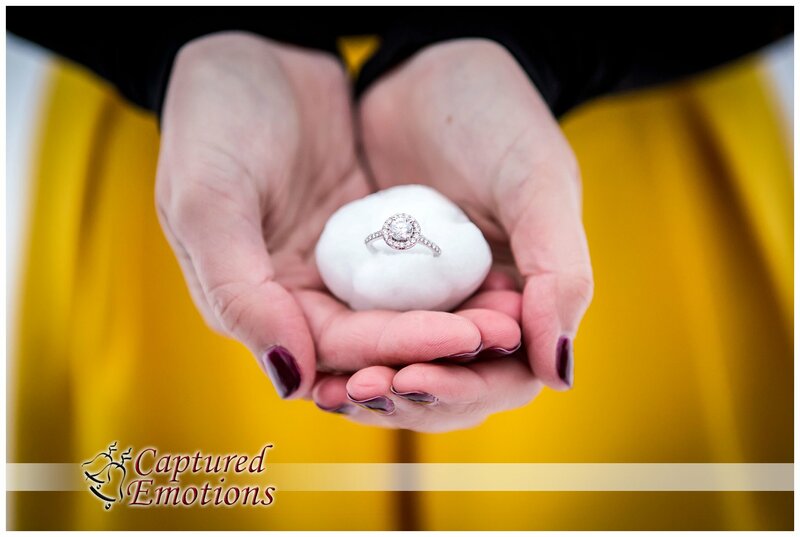 If you live in NY’s Southern Tier, you already have the perfect setting for your pictures, so you are halfway there to beautiful engagement portraits. But winter will not be here much longer, so don’t wait. 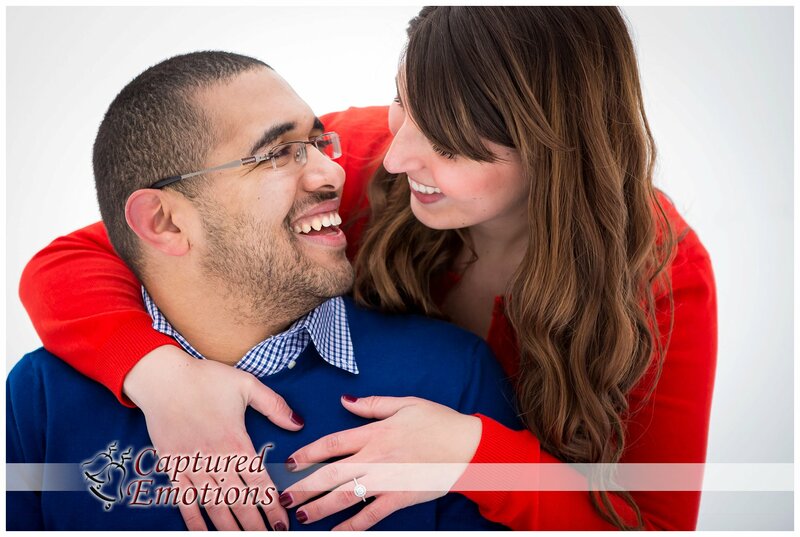 You can find us at capturedemotionsportraits.com.